Key West is one of the top areas for destination weddings. If a Key West destination wedding is on your mind, you can do no better than Conch Concierge Wedding Services for your wedding officiant services and wedding packages. As well as simply filing your marriage license following your ceremony, working with us affords you a registered professional wedding officiant to guide you through your vows and your ceremony. 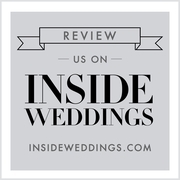 On top of this, we have many wedding packages to choose from, ranging from a ceremony lasting five hours to ceremonies from sunrise to sunset, to arriving to your ceremony atop a cruise ship. If you desire an elegant beachside wedding, we have arches available to add substance and sophistication to your event. Conch Concierge Weddings team expertly offering destination wedding services to romantic couples and thier guests. Our simple packages offered on ConchConciergeWeddings are based on the time of day and amount of photography time included. From 10 minutes to 1 day, from our Key West "Barefoot " ($ 295) to our Paradise ($795), each includes officiant and photography time. Some also include tropical or wild flowers and complimentary transportation from your Key West hotel to the ceremony site. All include our special loving touch. We love what we do and work from our heart. "Luxe" weddings featuring elegant bridal arches and canopies made by local craftsman, whimsical aisles and candle lite elegance, Contact us for more information.